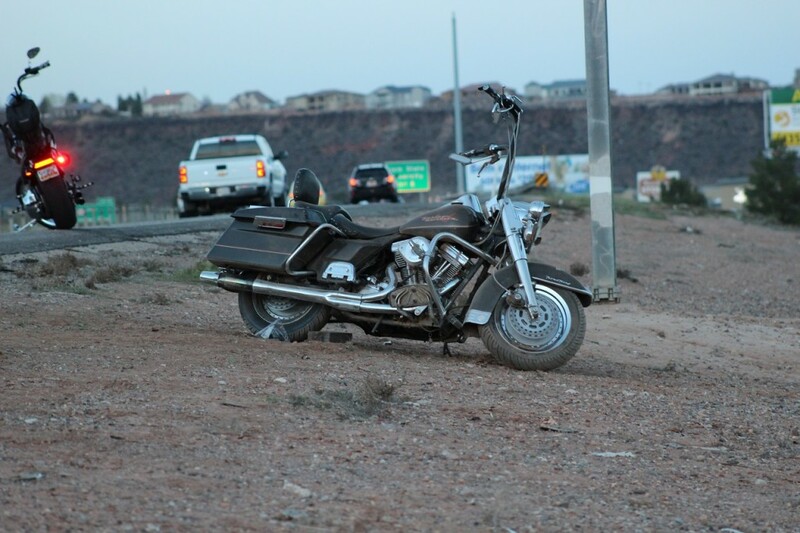 ST. GEORGE — A motorcycle rider was injured Friday night after his bike hit an oil slick on Interstate 15 sending it sideways down the freeway. 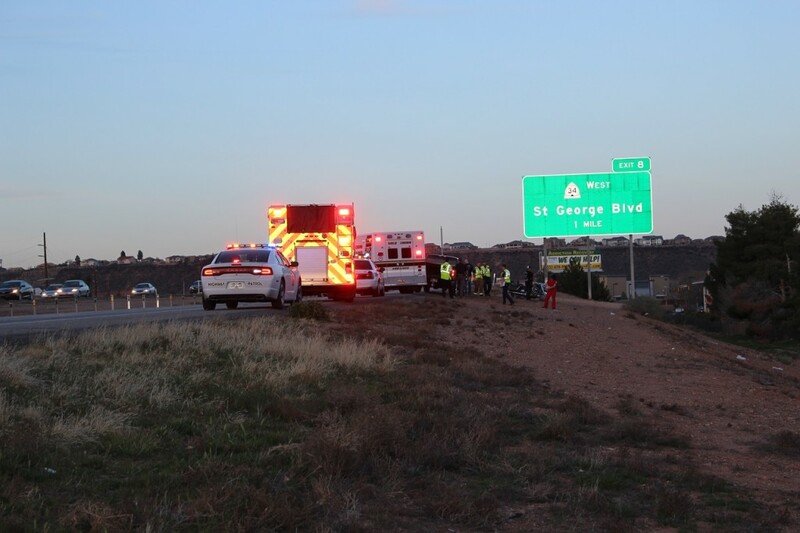 Just after 6 p.m. the St. George Communications Center received a report of an accident involving a motorcycle on I-15 northbound at mile marker 8, Utah Highway Patrol Public Information Officer Lawrence Hopper said. As authorities arrived on scene they discovered the injured rider in the emergency lane with his motorcycle laying on its side a few feet away, he said. 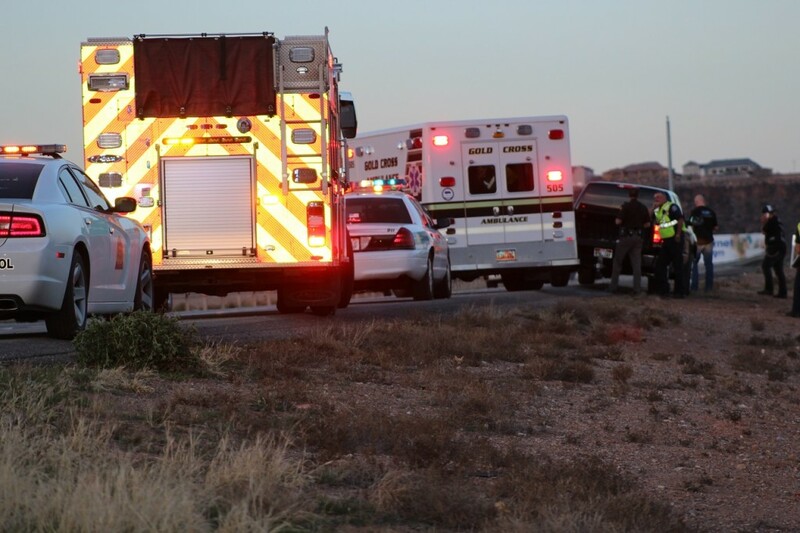 Emergency responders tended to the injured man before he was transported to Dixie Regional Medical Center. The extent and seriousness of those injuries are unknown at this time, Hopper said. During the preliminary investigation conducted at the scene it was determined that the rider lost control and began to skid because of oil that was allegedly dripping from a black pickup truck traveling in the same lane just ahead of him, Hopper said. The leak then created a small oil slick on the freeway, catching the rider off guard and sending the bike into a dangerous skid, before coming to rest on it’s side, with the rider thrown from the bike. The man driving the pickup truck was questioned on scene, however the incident is still under investigation. No additional information was available at the time of this report. 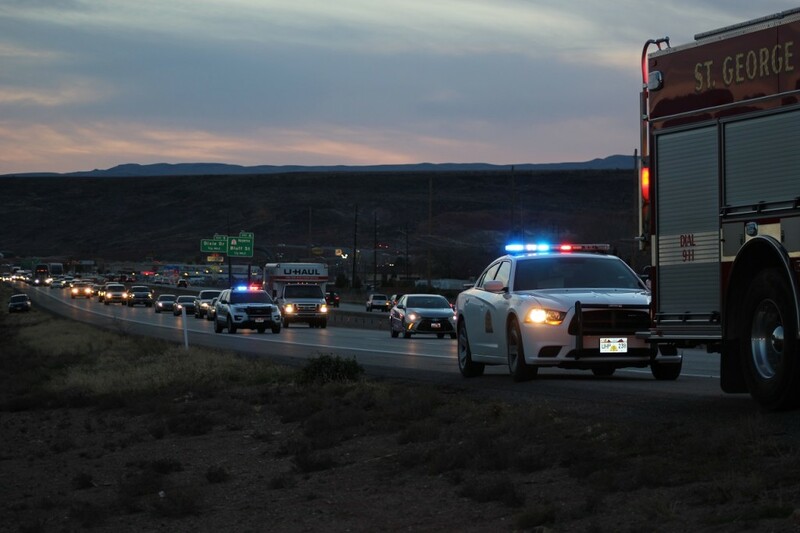 Utah Highway Patrol, St. George Fire Department, Gold Cross Ambulance, St. George Police Department, and Utah Department of Transportation’s Incident Management Team (UDOT) responded to the scene. 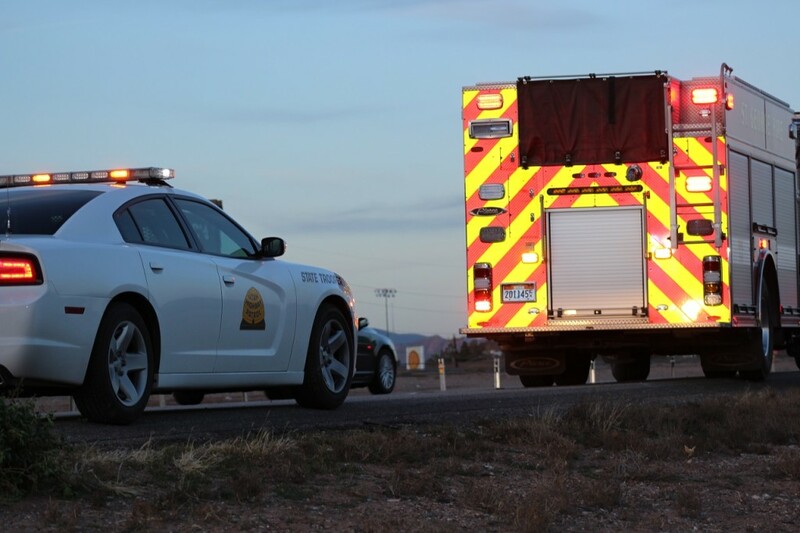 St. George Police assisted with traffic control, and UDOT covered the oil slick with sand to prevent further incidents. A motorcyclist’s worst nightmare, slick road conditions you can’t anticipate. One of the reasons I don’t ride anymore. I’m older now, 62, and like being surrounded by a steel cage and airbags!